A colourful peekaboo version of a favourite nursery rhyme, with cutaway holes for little ones to peep through. Chuff chuff chuff! Join the puffer trains down by the station as they set off to do their early-morning jobs. Rhyme the verses out loud, spot details in the bright pictures, and peek through the holes to see what’s going to happen next. 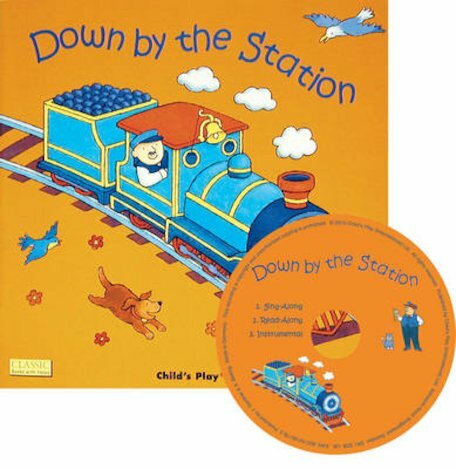 Here’s a tip: there are lots of vehicles to find in this book – not just trains! Do you think you can spot them all?